As part of the Technophiliacs team for The University of Melbourne's team in the 2013 OzCHI Student Design Challenge, we designed a solution called Family Room. This solution addresses the problem of email, the brief, by eliminating some of the burden currently on email. We determined that we would provide a niche product for our solution, focusing on a MVP for disparate families. We first understood the problem space by performing a literature review, and then underwent ideation through brainstorming. 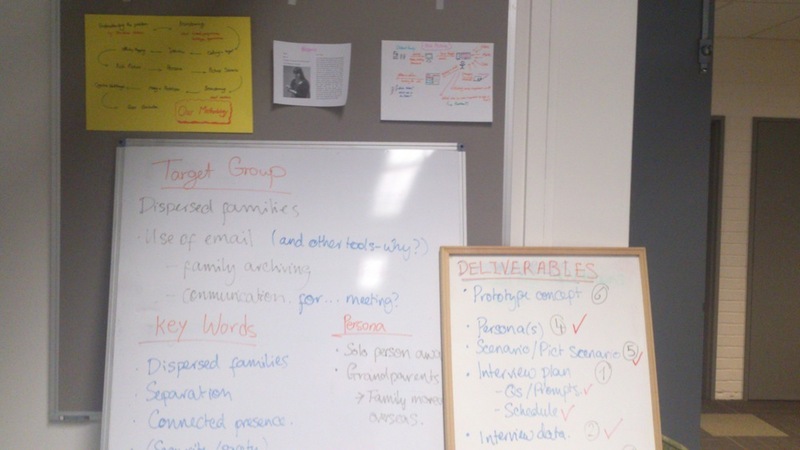 After defining our target we performed semi-structured interviews with 6 participants to understand their behaviours and needs related to use of email and other systems for management and archiving of content across dispersed families. From this was performed affinity mapping to understand the data, identify motivators and triggers, realise opportunities and potential barriers to success. 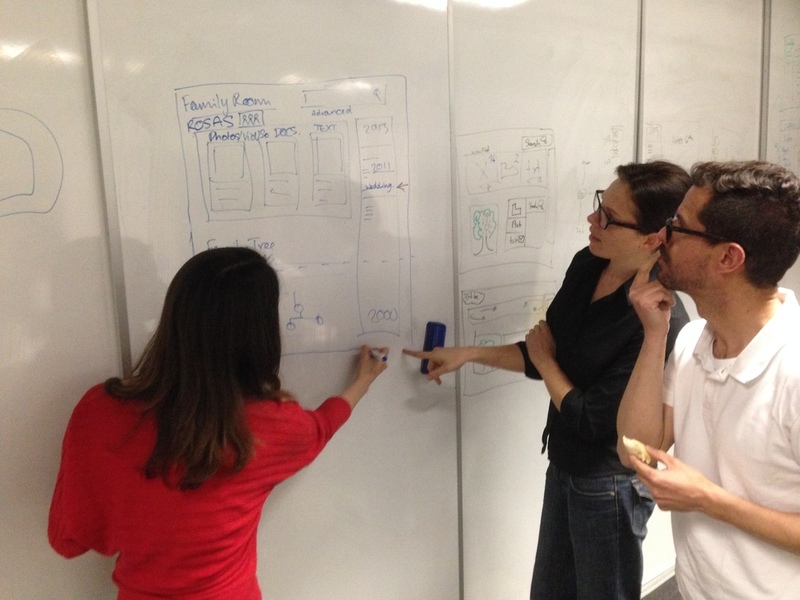 From this data we created a rich picture, persons and a picture scenario to help create the prototype. The prototype was subject to a cognitive walkthrough and guerrilla testing. Webber, S. E., Heffernan, K. J., Yeganeh, B. R., Estrada, F., & Augstkalns, D. (2013, November). Family room: reducing email overload. In Proceedings of the 25th Australian Computer-Human Interaction Conference: Augmentation, Application, Innovation, Collaboration (pp. 407-408). ACM.